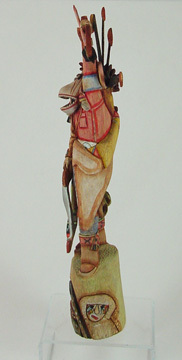 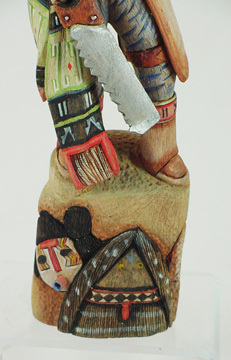 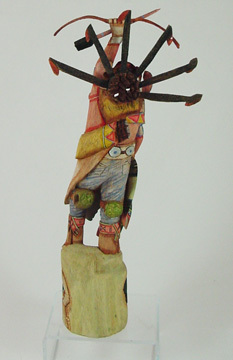 Tom Fredericks has been carving full figure Kachina dolls since 1987. 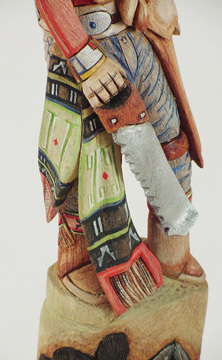 Tom is the son of John Fredericks, also a famous carver, and resides in Kykotsmovi, Third Mesa, AZ. 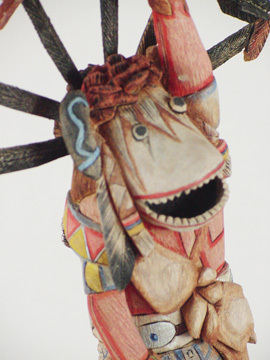 Tom was taught the art of carving cottonwood root into magnificent figures by his friend, Wilmer Kaye, an award winning Hopi carver. 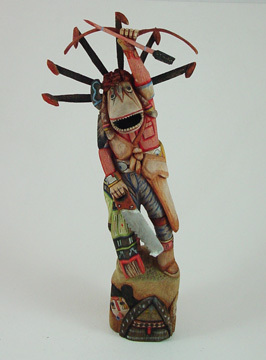 Tom's work has been recognized though awards in jurried competitions throughout the Southwest, such as The Museum of Northern Arizona in Flagstaff.